"Chambers Paper Fibers" was founded in 1897 by a young immigrant on the streets of lower Manhattan. Just as New York City flourished, so has our company. 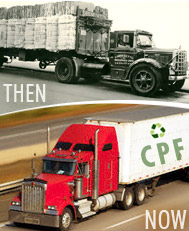 Today, nearly a century later, we are still a family business. The fourth generation now oversees an operation that offers its services world wide.